We do not recommend using pins to keep them in place. 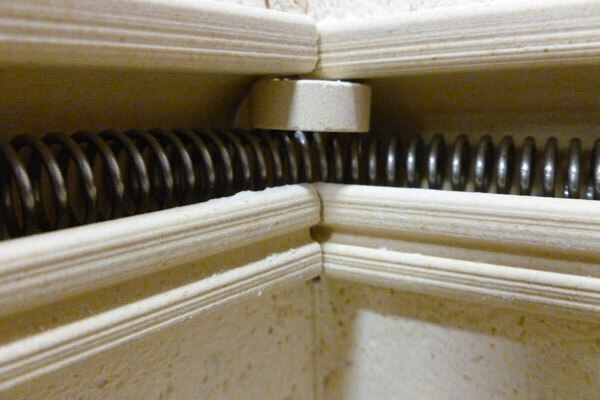 Instead we sell a small 1/4" high by 3/4" diameter ceramic washer that can be used to wedge the element in place. See the photograph for visual instructions. These can be kept in or removed once the elements have settled in place and are in no danger of popping out of the holders.